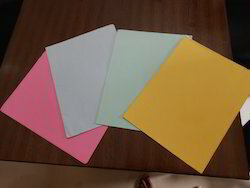 Exporter of a wide range of products which include color bank paper. We are renowned as a leading name affianced in providing to our customers a vast collection of Color Bank Paper. In compliance with the standards and quality principles laid down by the global market, these offered papers are widely known for their uses by children, students and in offices for numerous purposes. To protect them from getting tampered or damaged during shipment, we deliver them in top grade packing material.